Summer may be over, but that doesn’t mean it can’t stay all year round in your home. I recently suggested an art piece for a client and she came back wanting a few other options. No problem, I said. 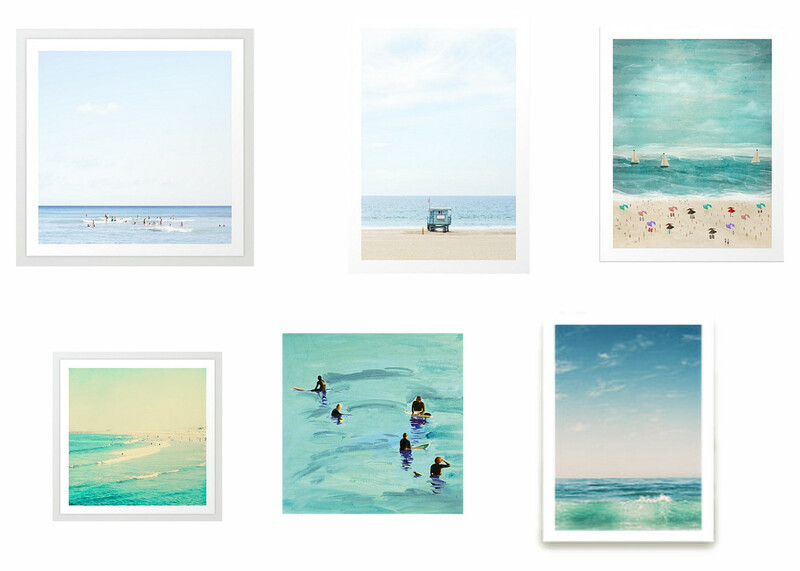 I did have to restrain myself though because there are hundreds, if not more, options of affordable beach prints. We weren’t looking for a Gray Malin price tag, but we were looking for something that would make a statement. We wanted a vertical orientation and light blues or teals, here are the 6 I suggested. Which is your favorite? Looking admirable and fantastic art. Thanks for the sharing.